When the ARRL board of directors meets in Connecticut next month, there will be several new faces at the table, as well as the "back bench" for vice directors. In addition to this being the first board meeting for new CEO Howard Michel, WB2ITX, there will be new directors present from the Hudson, New England, Northwestern, Roanoke and Rocky Mountain Divisions. Three of those new directors defeated incumbents, while one moved up from the vice director's chair to succeed a director who resigned and the fifth was elected in a division in which the incumbent was not seeking re-election. There will also be two new vice directors. This represents a change in leadership in one-third of the ARRL's 15 geographic divisions. A new version of K1JT's digital communications suite - WSJT-X, Version 2.0.0 - has been released for general use. All users of the software, especially the popular FT8 and MSK144 modes, are encouraged to upgrade promptly. "The FT8 and MSK144 protocols have been enhanced in a way that is not backward compatible with older program versions," according to an announcement on the WSJT home page. It continued that the new protocols became the world-wide standards as of December 10, 2018, and that "all users should upgrade to WSJT-X 2.0 by January 1, 2019. 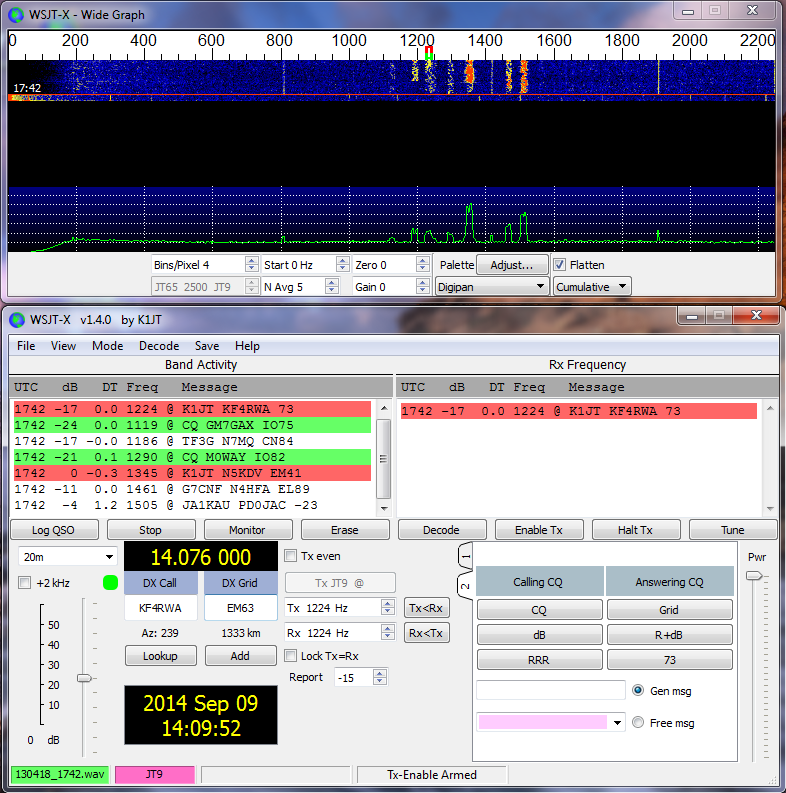 After that date, only the new FT8 and MSK144 should be used on the air." Other modes included in the WSJT-X suite are JT4, JT9, JT65, QRA64, ISCAT, WSPR and the Echo mode for measuring your own signals reflected from the Moon. For more information, visit <https://tinyurl.com/hg6rnxm>. The upgraded FT8 portion of WSJT-X 2.0 had a final on-air "shakedown" prior to its general release in the form of an on-air operating event - the first FT8 Roundup - on the weekend of December 1 and 2. The roundup was coordinated by CQ RTTY Contesting Director Ed Muns, W0YK, and Don Hill, AA5AU. According to the AMSAT News Service, approximately 1300 logs were submitted for the event from 91 countries, and included more than 131,000 contacts. The new version of FT8 "performed with no major complications," reported Hill. Muns said participation "far exceeded our expectations," but said additional enhancements will be needed for FT8 to "really take off" as a contest mode on its own. The 2019 ARRL RTTY Roundup (<http://www.arrl.org/rtty-roundup>) in early January will be the first regularly-scheduled contest to include use of the new version of FT8. Cycle 25 is On its Way!